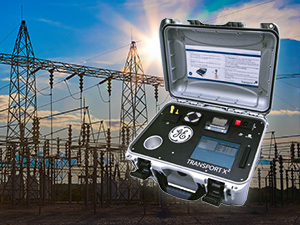 GE is pleased to announce the availability of its latest transformer Monitoring and Diagnostics product offering, the Kelman™ Transport X². Benefiting from more than 40 years of global DGA experience, the Kelman Transport X² encapsulates intuitive advancements to bring improved performance, innovative new features, enhanced user experience and greater robustness to customers in generation, transmission and distribution, and industries. Multiple oil types – capable of measuring seven gases and moisture including mineral oil, synthetic and natural Ester fluids. Data synchronization simplified – Easy-to-download measurement results to a local PC running GE’s Perception software with Transport X². Innovative ‘Plug and Play’ solution for USB memory stick data retrieval. State of the art design – remodeled and intuitive touch screen interface and a modern and robust case offering IP67 rating when closed to protect the device in harsh environments.